A typical family in Tanzania is a good representation of the hopes and worries of the rural, developing world that makes up 85% of global poverty. Tanzania has been affected by poverty and environmental issues quite severely, with much of its rural population being below the poverty line. Our team has gotten to know thousands of families living in country. We’ve gotten to know their hopes, and we’ve learned that they are quite similar to the hopes of families all over the planet. Tanzania, like many tropical or Sub-Saharan countries, has had to take extra precaution against the spread of infectious diseases. Treatment can be out of reach, due to the remote location of rural communities and the barrier created by poverty. Karolina, a farmer in Moshi-Marungi, explained that chemicals that they once used to farm with had an impact on their health. Since joining a farmer field school, her community learned how to make organic alternatives. “We are no longer using harmful chemicals that will kill other organisms and affect our health,” she explains. “We are taking care of ourselves and we are happy about this. Still, many aspects of daily Tanzanian life can pose a risk to health. Homes with dirt floors may increase the risk of mosquito borne illnesses or respiratory infection. Unsafe stoves are also a major cause of respiratory disease. Lack of access to clean water may also be a problem. A farmer field school in Rombo, Tanzania. Many parts of Tanzania and Eastern Africa face soil infertility. As environmental conditions worsen, the soil grows incapable of producing enough food for families. Poverty typically results in further environmental damage, which causes even further poverty. This cycle is what millions around the world face. Isaya used to worry about this. As a father of five, he knew the dangers of unhealthy soil as well as erosion. “Before, it was like a desert here,” he tells us. Tree planting helped restore the soil on his farm, allowing him to produce almost double what he used to. This Giving Tuesday, we’re aiming to help 250 families! Every parent wants to see his or her children experience a better life. In places where life is difficult, this desire can feel even more urgent and even more difficult to obtain. Reversing environmental issues is a must in order for future generations to have better opportunities. Education is also especially important. Very often, rural families have difficulty paying school fees. The need for extra help on the farm due to soil infertility also leads to children being taken out of school. This problem affects girls even more severely. 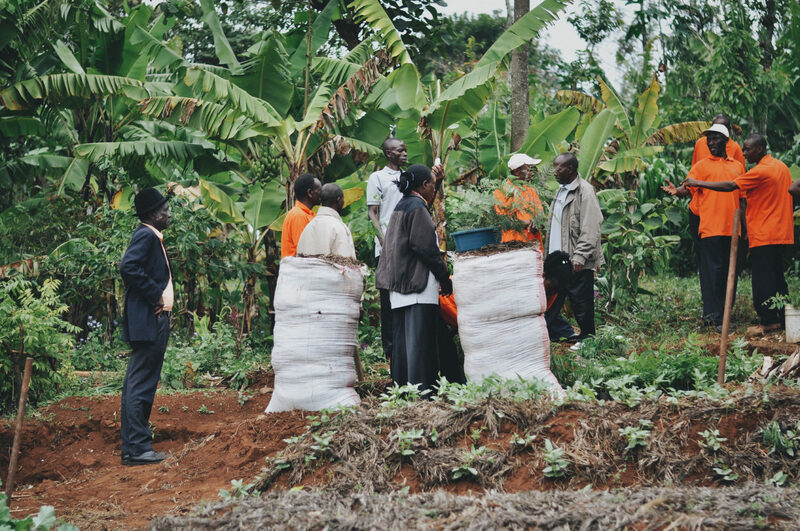 Plant With Purpose aims to help families like these in Tanzania and beyond. With your support, we are able to reduce the time it takes to get clean water, help improve housing conditions, increase crop yields and nutrition, and see more girls attending school. This Giving Tuesday, we’re giving you a chance to double your impact. On November 27, all gifts will be matched! Visit our Giving Tuesday page to learn more.